CLEVELAND—Frustrated after a string of demoralizing losses to their perennial championship rivals the Golden State Warriors, Cleveland Cavaliers players said in a press conference Thursday that they were hoping to avoid Game 4 of the NBA Finals. “We have to do a much better job of protecting our home court, so we can’t let the Warriors just waltz in here and start playing basketball with us again,” said LeBron James, adding that his team wouldn’t repeat their mistakes from Game 3 in which they decided to show up for the game at Quicken Loans Arena. “You can’t let Steph and K.D. drop 40 points and expect to win. We have to make adjustments to our game to keep them from getting so many open looks, and I think that starts with adjusting our calendar. 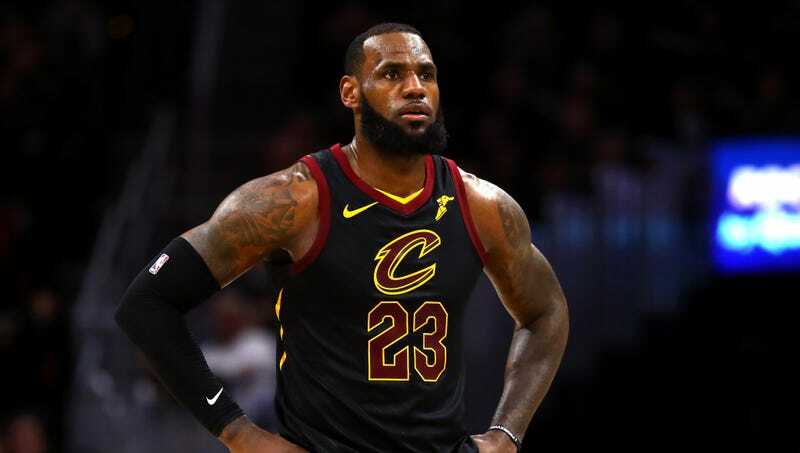 This is bigger than us—we owe it to the city of Cleveland to dig deep and find a way to stop this competition from ever taking place.” In an effort to promote the new strategy, James took to social media to post a picture of himself and several teammates sitting poolside at his Los Angeles estate.